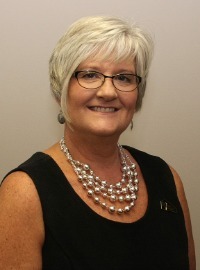 Cindy Stonebraker is an Americorp Volunteer Service Member for the Pennyrile Area Development District Area Agency on Aging and Independent Living. Cindy volunteers most of her time with the Pennyrile Long Term Care Ombudsman Program. She has become a certified ombudsman to provide assistance to residents in long term care settings and improve the quality of care they receive. In addition to her work at the PADD office, she serves as the Gold Star Families Liaison for the Hershel Woody Williams Medal of Honor Foundation, and sits on the Board of Directors for the National League of POW/MIA Families in Washington DC. Cindy is a valuable part of our program and we are grateful to have her as part of our team. Volunteers are the heart of the ombudsman program.